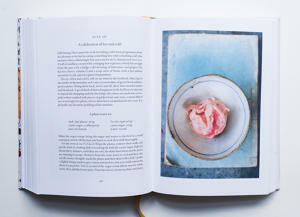 A K I T C H E N C H R O N I C L E. The second volume of The Kitchen Diaries. 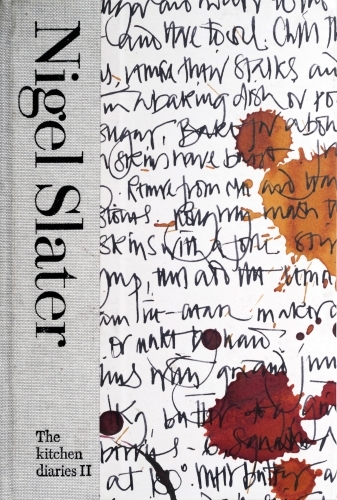 A collection of notes, essays, jottings and recipes compiled over a period of three or four years. 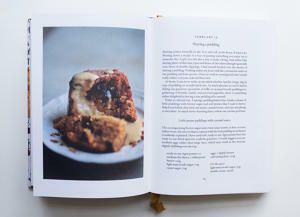 A very personal book, it was written and photographed in Nigel's home kitchen. 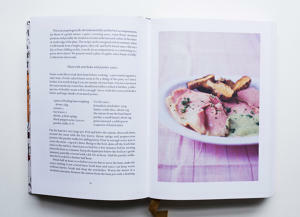 Not a television tie-in, but many of the recipes are those from the BBC1 series Simple Suppers and Simple Cooking. 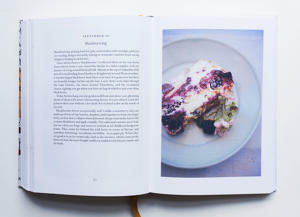 Herein are conversations on the point of cooking with meat on the bone; the coolness of juniper; cheating with puff pastry; cooking in cast iron; the best goat's milk cheeses; nettles in the kitchen; taming beetroot's sweetness; the importance of the right whisk; picking plums and using up leeks. There are recipes for slow-cooked oxtail and quick-spiced tomatoes, a chocolate tart and a savoury pumpkin pie. 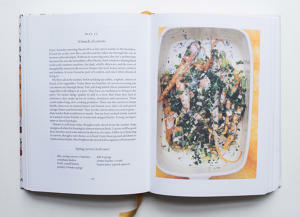 There is baked chicken with broth for a winter's day and salmon and dill cakes for summer. 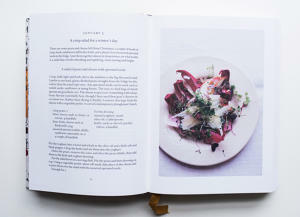 Kitchen Diaries volume iii is 532 pages in length, hardback, quarter bound in pale grey linen and contains 212 recipes of which 115 are without meat or fish. Photographed by Jonathan Lovekin, designed by David Pearson and set in Monotype Haarlhemmer, it is printed by Graficas Estella. 'I cook. I have done so pretty much every day of my life since I was a teenager. Nothing flash or show-stopping, just straighforward, everyday stuff. The kind of food you might like to come home to after a busy day. Just simple, understated food, something to be shared rather than looked at in wonder and awe.